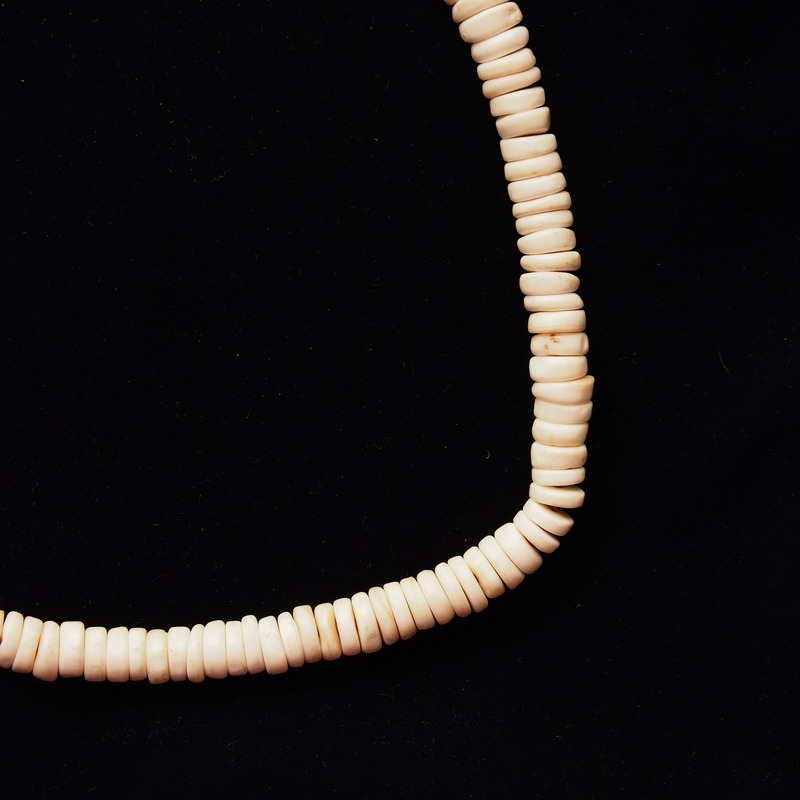 This white bead necklace is made from the shell of a giant clam known as Hippopus Hippopus. 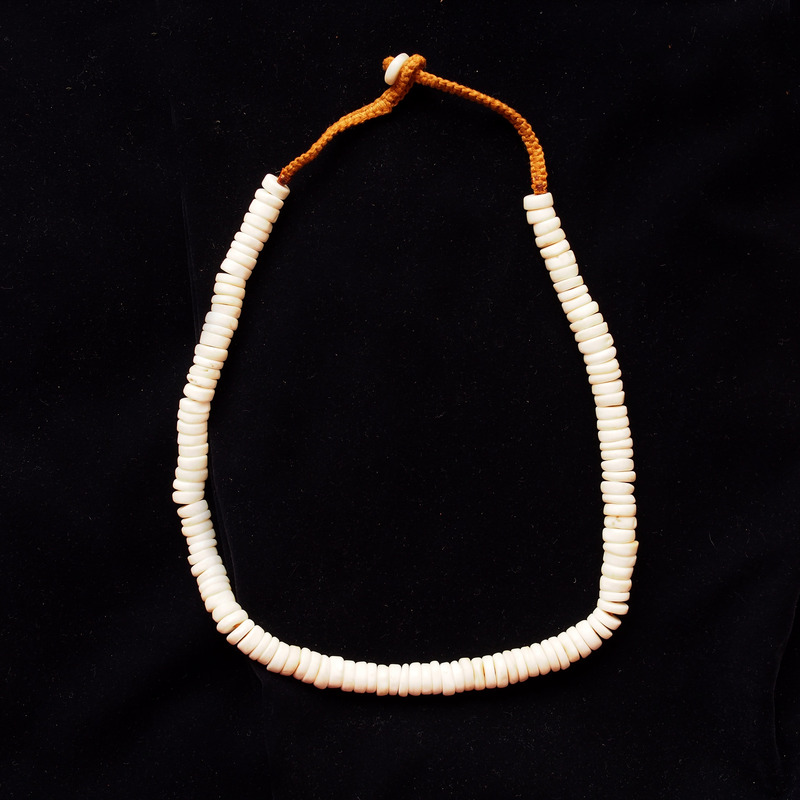 The material, musaragalva, is one of the seven treasures of Buddhism – musaragalva, agate, crystal, amber, pearl and musk. These seven precious items differs in the ancient scripts but musargalva seems to be always part of the group. The Buddhists believe it has the ability to provide blessing and keep out of harm’s way.